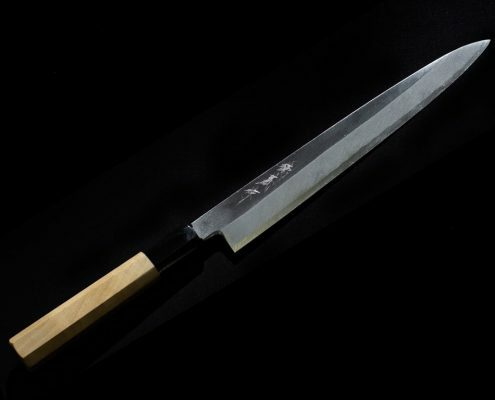 A Japanese kitchen knife is modeled after Katana (Japanese sword) and its sharpness fascinates chefs all over the world. 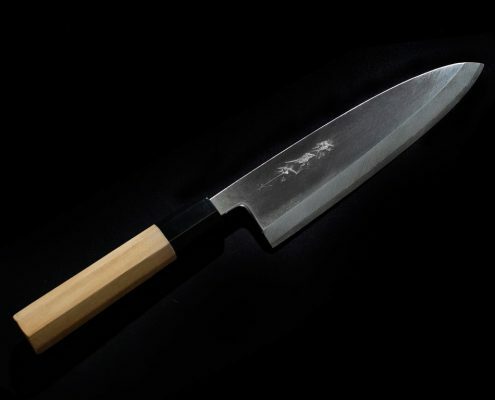 The big difference between a Japanese and Western kitchen knife is that the former is single-bevel, while the latter is double-bevel. 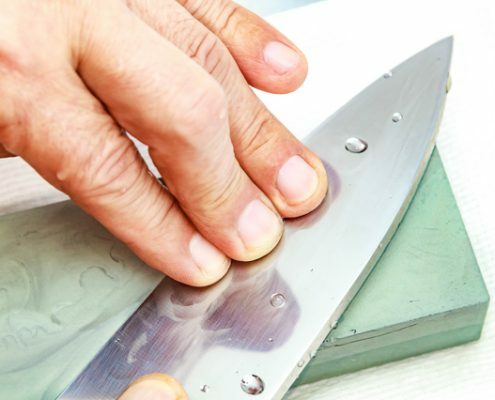 A single-bevel knife cuts into slightly to left and separates parts of ingredients more easily, so it makes your chopping faster. 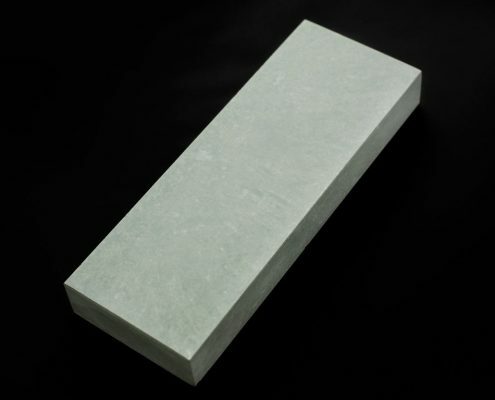 It also provides a clean cut surface without damaging the ingredient’s tissue. 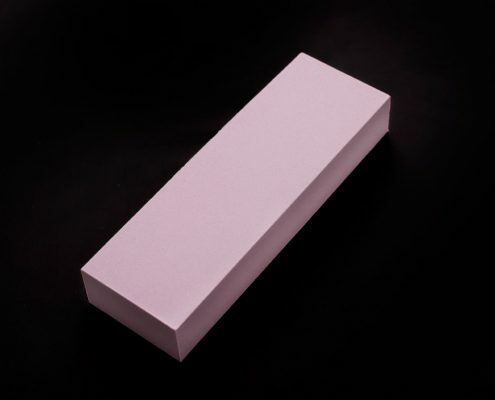 It is staple to use a Japanese kitchen knife in order to learn techniques for Sushi and Washoku. Indispensable for cleaning fish. 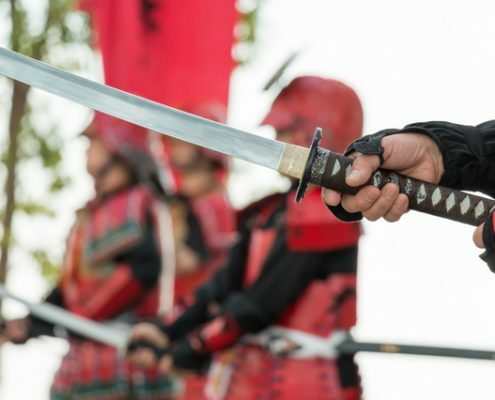 Deba is used to cut through hard bones and also to filet fish. 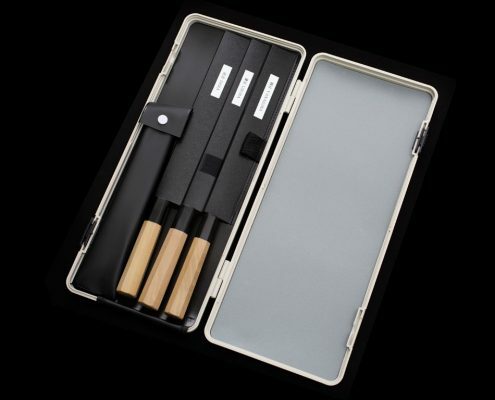 Widely used for Sashimi purpose throughout all of Japan by professional chefs. 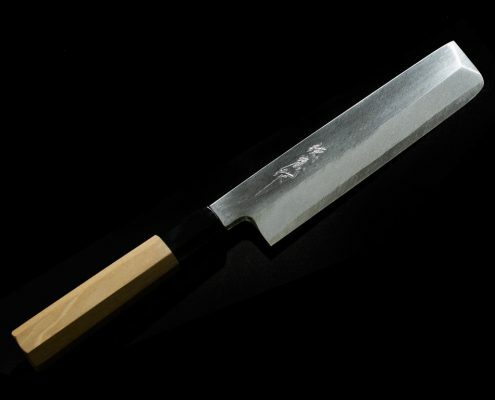 Usuba is mainly used to cut vegetable for decorating purpose of Japanese cuisine.